Scooter by the Sea: The water is still COLD! 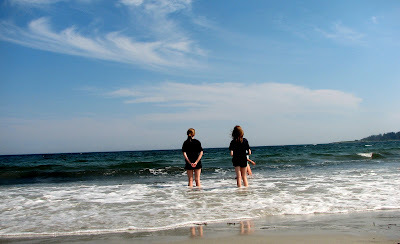 The water is still COLD! 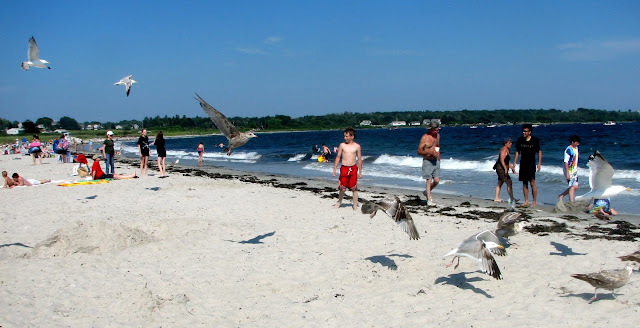 People still think that because the air is very hot (nearly 90 degrees today), the ocean must be at least warm. 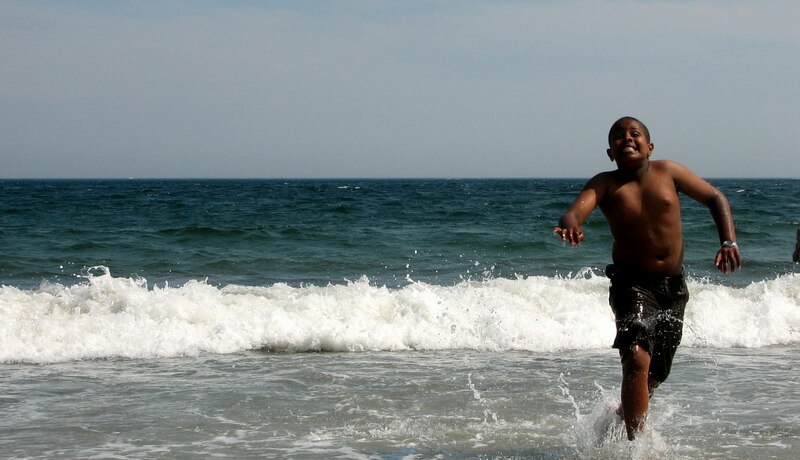 As this young man learned very quickly, the sea is never warm in these parts. If I had a really good close-up lens, you could see that no one is genuinely smiling. Oh, sure, they've got something like a smile on their faces, but it's one of those, "Gee Whiz, this isn't so bad, is it" smiles. Here's what the wise people do: build a shallow little pool, wait for the sun to heat it up, then slide in. Then, you can honestly say, "Sure, I went in the water at the beach!" 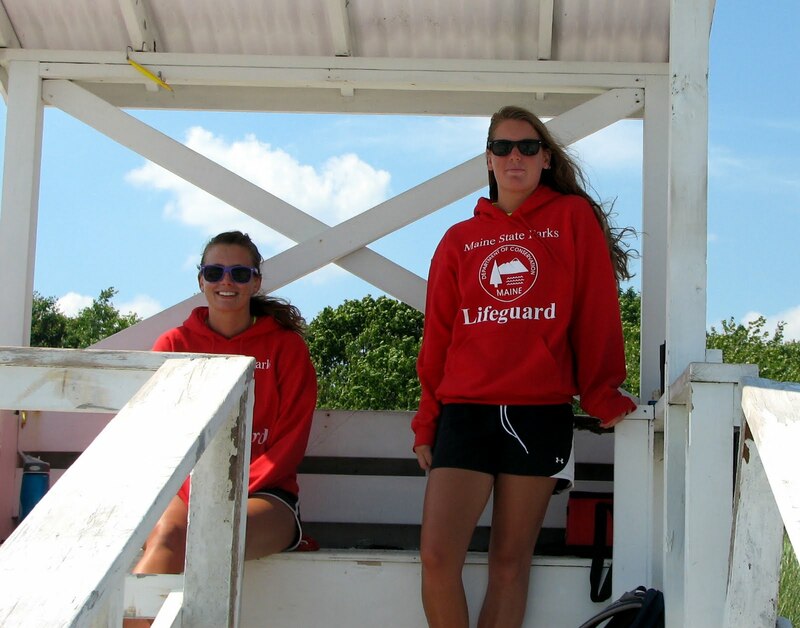 A familiar and comforting and lovely site at Maine's State Parks - lifeguards. I didn't hear this conversation between father and daughter, but I imagine that Dad asked his little girl if she'd like to go out into the surf. Well. she seems to be thinking, this isn't too bad. Let me ponder this a moment. 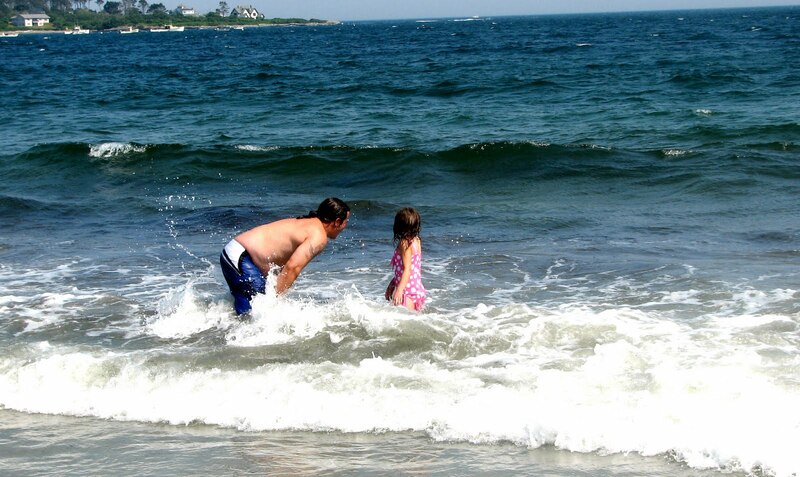 This wave nearly knocked her off her feet, and she declined an adventure in the surf. Dad waited for a decent wave, and "rode" it to the beach. I'm not sure what happened next to Dad. I know that I resolved to stay ashore. 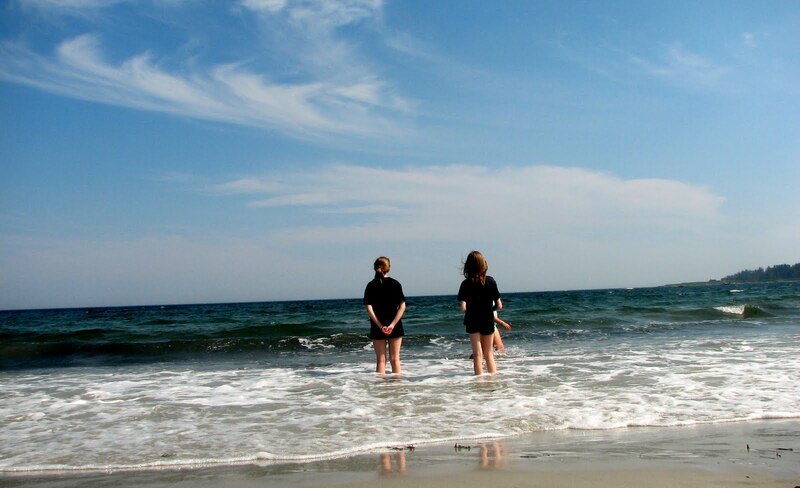 This pair of sisters from far, far away were visiting New England with their parents. 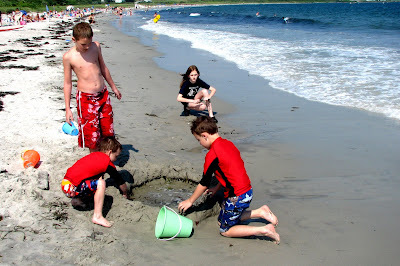 They wisely chose to enjoy the beauty of Crescent Beach State Park in Cape Elizabeth at a sensible depth. 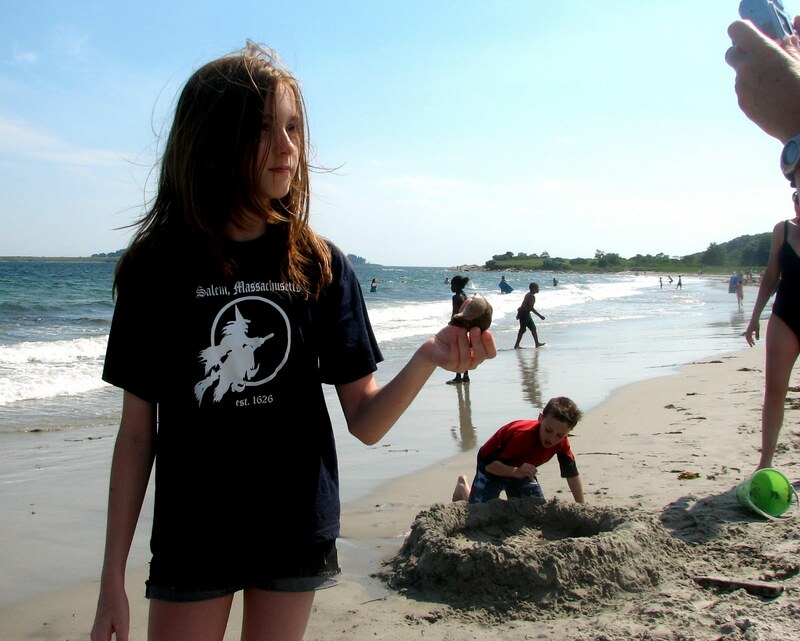 The younger of the sisters is holding a sea thing up for her mother to photograph. In the spirit of Down East humor, I asked, "Do you know what that is?" "No" was the reply, sensing that I must know the answer. I'm not sure what this adventure is called. Para-sailing? I call it "something I'll never do." It looks like fun, but I suspect it's rather dangerous. I'll stick with my sedate, old-man-style scootering.